As summer temperatures continue throughout the greater Sacramento, Folsom, and El Dorado Hills areas, it’s time for homeowners to start thinking about ways in which they can improve their home’s performance. One of the most effective ways to minimize home energy loss and efficiency issues is to check to ensure that you aren’t dealing with leaky windows. Unfortunately, leaky windows are rather common among California homeowners—especially those who live in older homes. Leaky windows, though the problem may seem more inconvenient than harmful, can add up to significant, unnecessary expenses on your energy bills. Getting to the bottom of why leaky windows are problematic is the first step to solving the issue. Here are a few things that can cause windows to underperform, all of which are fixable if you know what you’re dealing with. In some cases, windows are prone to leak the moment they come out of production. Some window manufacturers cut corners and simply don’t deliver a high quality product, which will be bound to fail over time. At California Energy Services, we take care to offer only the best windows on the market, which is why we sell top-quality Milgard windows (and a new product, the Velux Solar-Powered Skylight) for Foothills homeowners who are looking to get the most out of home performance. Start with great windows, and leaks will be far less of a concern than they might be otherwise. Another factor that can lead to leaky windows the quality of their installation. You could have the best windows available in your area, but they’ll be set up for failure if they aren’t installed properly. Some homeowners attempt to install new windows on their own, although it’s not recommended to do so. By working with an experienced contractor and getting a professional install, you can avoid many of the potential pitfalls--including unwanted leaks--that come along with improper installation. Perhaps the most important contributing factor to leaky windows is the lack of proper air sealing and insulation. This powerful combination is essential to home energy efficiency, since the two services combined create a barrier between the conditioned, indoor air in your home and the outdoor air. Air sealing and insulation is often lacking in older homes, however, meaning conditioned air escapes easily, particularly around windows. 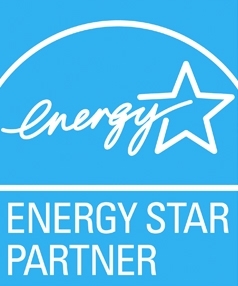 A home energy audit will help to determine where your home is currently lacking in air sealing and insulation and how best to remedy any window issues, and California Energy Services is more than happy to help. Don’t let leaky windows ruin your energy bills! Contact us today to learn more and to schedule a free window consultation.